The evolution of blockchain for the past few years have been breathtaking. From a technological perspective, it has pushed new boundaries, but that doesn’t mean it is still out of its infant stage. When compared to other technologies out there, it still has a lot to offer. Today, I will be exploring 7 blockchain technology trends you should watch out in 2019. These trends will help you gauge what to expect from blockchain in the upcoming year. The blockchain is undoubtedly one of the revolutionary technologies of the 20th century. It is so game-changing that plenty of startups and enterprises are working on their own blockchain solution. However, it is not always feasible to create, maintain and manage your blockchain solution. 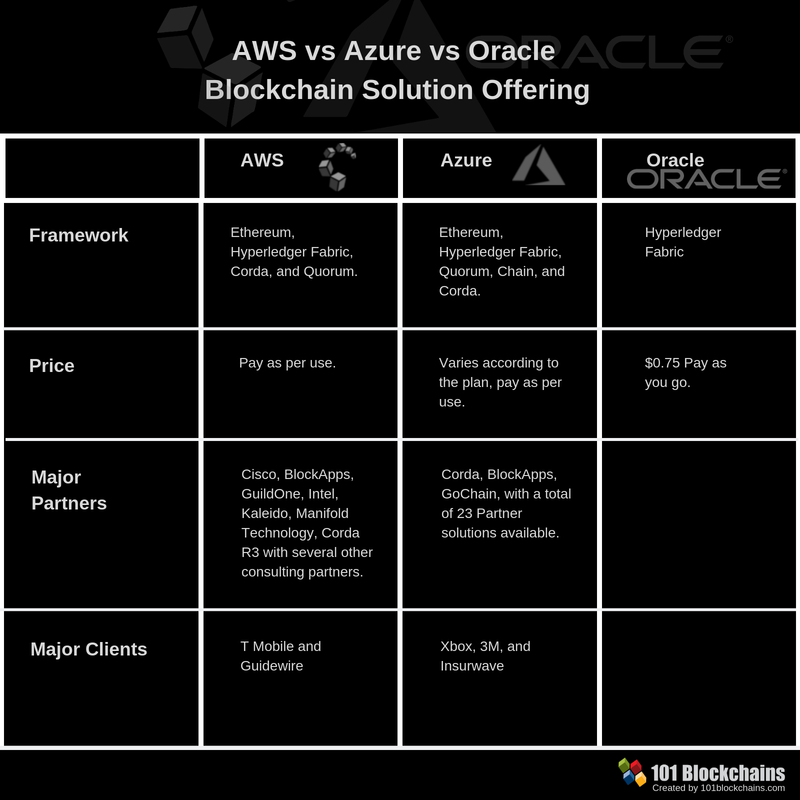 This is where Blockchain as a Service(BaaS) comes in. BaaS is a cloud-based service that allows customers to build their own blockchain powered products including apps, smart contracts, and use other blockchain features without the need for setup, manage or execute blockchain-based infrastructure. Few companies including Amazon, Microsoft and others already provide this service. I think that the adoption of the use of BaaS will increase in 2019. It will also enable companies to use blockchain technology without worrying about the initial investment. There are few versions of blockchain at play and I think Hybrid blockchain can be one of the trends to look out for in 2019. The hybrid blockchain is the best of both worlds. It works by providing the best features and functionality of both public and private blockchain. For example, the government cannot just go entirely decentralized by using public blockchain. However, they also cannot use private blockchain in some of their services as they need to interact with the people. 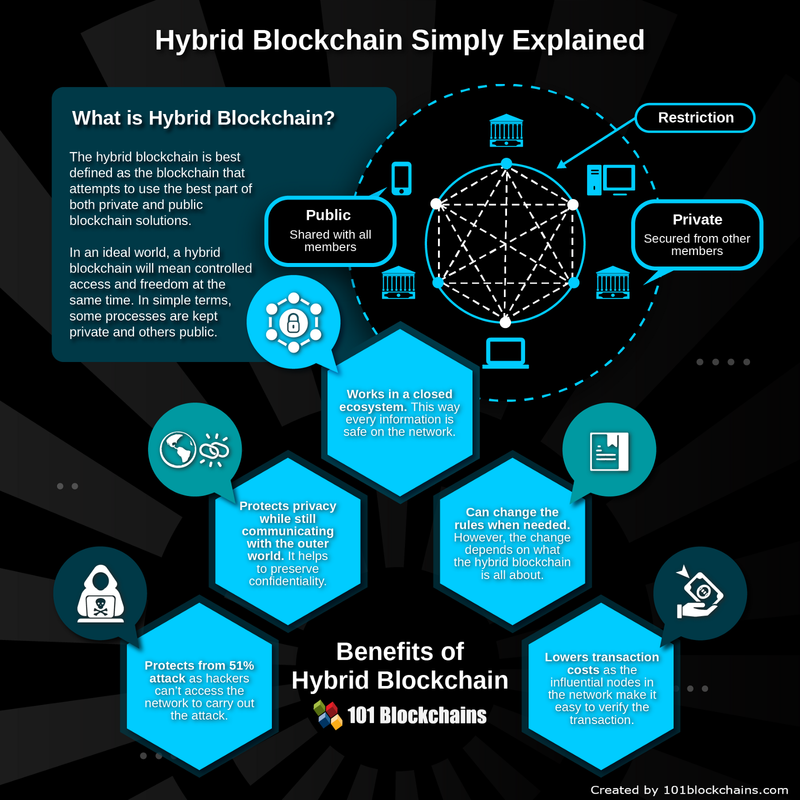 In these cases, Hybrid blockchain provides an ideal solution by providing a customizable solution and also making proper use of what blockchain has to offer such as transparency, integrity and security. 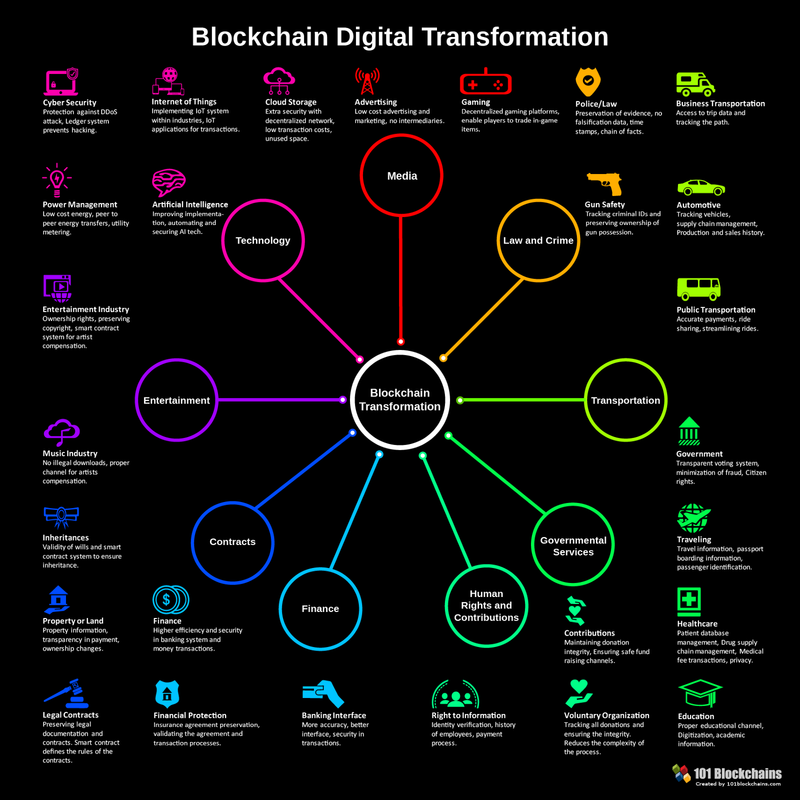 Few use-cases of hybrid blockchain include hybrid IoT, banking, supply chain, enterprise services and so on. 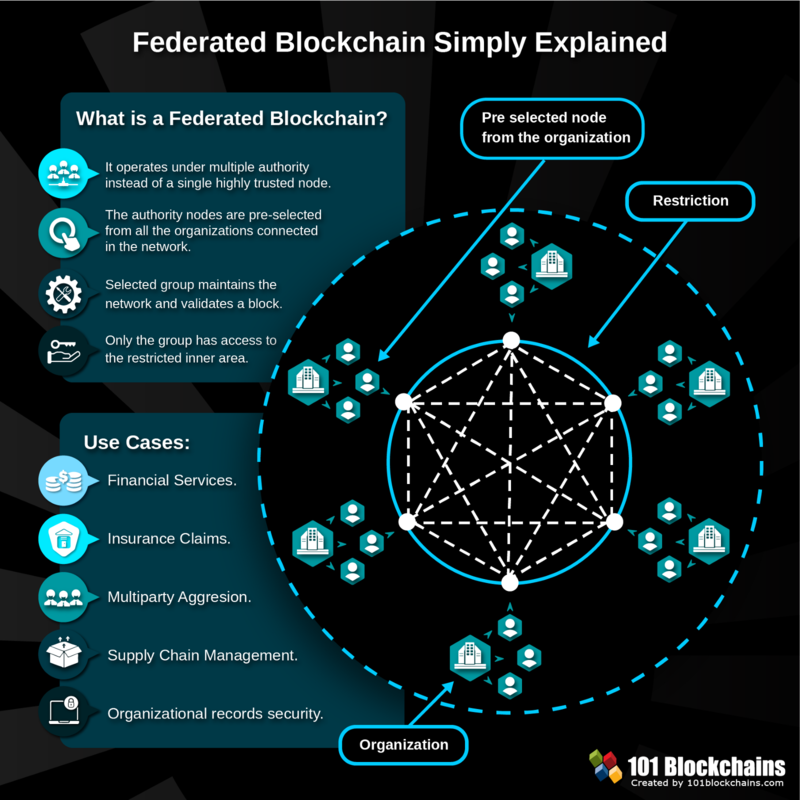 Federated Blockchain is also an evolution of the normal blockchain and is ideal for many specific use-cases. In 2019, we can also see a rise of the use of federated blockchain as it gives private blockchain more customizable outlook. Federated blockchains are similar to private blockchain with a simple twist. Instead of one organization controlling it, many authorities can control the blockchain and pre-select nodes. The selected group of nodes then ensure that block is validated for processing transactions. Some of the use cases of federated blockchain include insurance claims, financial services, supply chain management, and so on. Another great example of federated blockchain include the Walmart’s use of IBM’s blockchain for food traceability. Smart contracts have been the core of automated dApps. However, they are somewhat limited, and this is where Ricardian contracts come in. Ricardian contacts will open the door to a legal contract that will be cryptographically verified and signed. 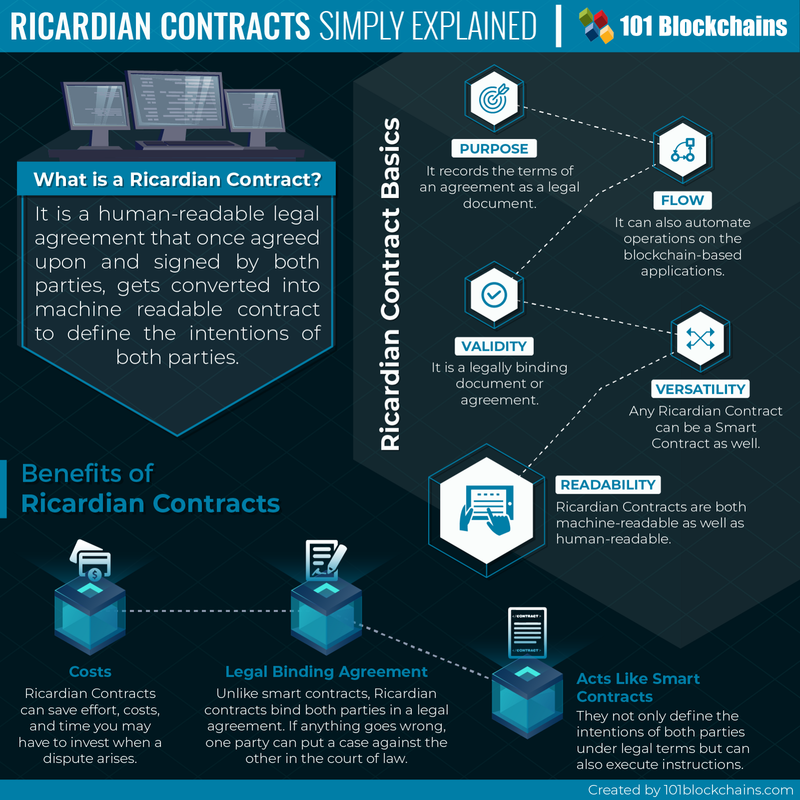 Irrespective of smart contracts, Ricardian contracts can be read as it uses human-readable text. This way, it provides a unique solution so that both humans and computers can understand without the need for any mediator or service. What is a Ricardian Contract? With time, we see new blockchain networks. This leads to new chains that offer different speeds, network processing, use-cases and so on. 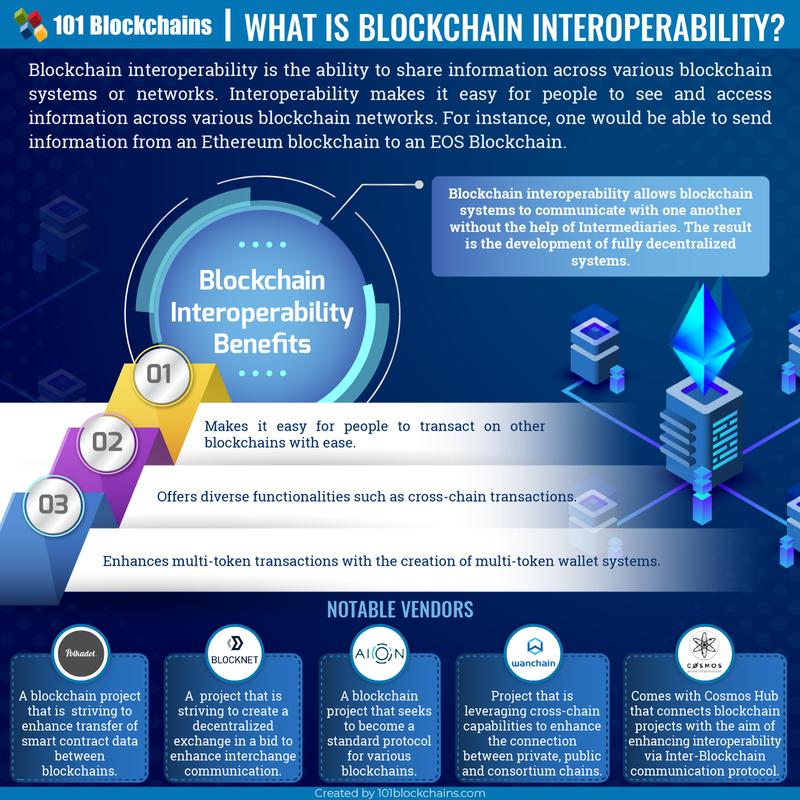 Blockchain interoperability aims to improve information sharing across diverse networks or blockchain systems. These cross-chain services improve blockchain interoperability and also makes them more practical for day-to-day usage. For example, with blockchain interoperability, you can send information from EOS to Ethereum blockchain. In 2019, we will see an improvement in the technology that enables blockchain interoperability. There are already few vendors who are actively working towards the goal of enabling or improving blockchain interoperability using cross chain technology. Few examples include BlockNet, Aion, WanChain, and others. Stable Coins can also see a boost in 2019. Cryptocurrencies are the side product of blockchain. But, they are volatile. This gives rise to Stable Coins. Stable coins, unlike, cryptocurrencies have stable prices. It is not affected by the market condition and ensures that the stability is maintained all time. You may have already heard about Tether. It is a stable coin. Most of the Stable Coins are fiat-backed, but there is still another type of Stable Coins that are backed by commodity, cryptocurrency or belong to the non-collateralized. However, Stable Coins are not free from disadvantages. 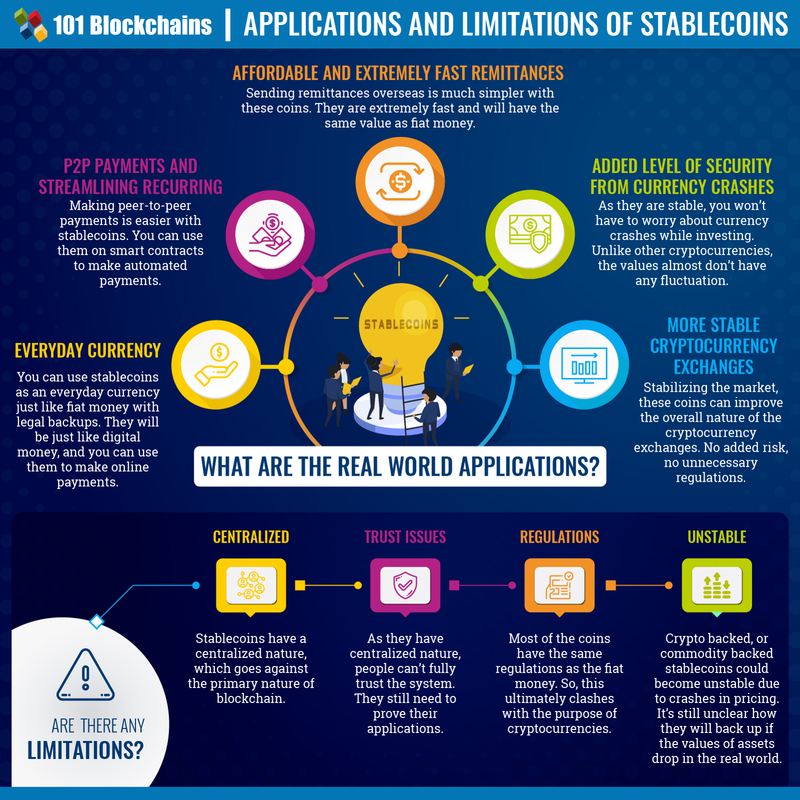 Stable Coins run on centralized system and rules. They can also have trust issues among investors as they are centralized. ICOs were the talk of the town in 2017–2018. But, they are an unregulated way of pulling up money from the market. Almost 48% of the ICOs are scams which leads to a loss of trust among investors. Meet, security tokens. These tokens are offered through Security Token Offering and are regulated. It protects investors rights and redefines the whole process through which companies or startups raise money. The 2017 market statistics for ICO also showcase that each ICO almost raised $12.7 million on average. 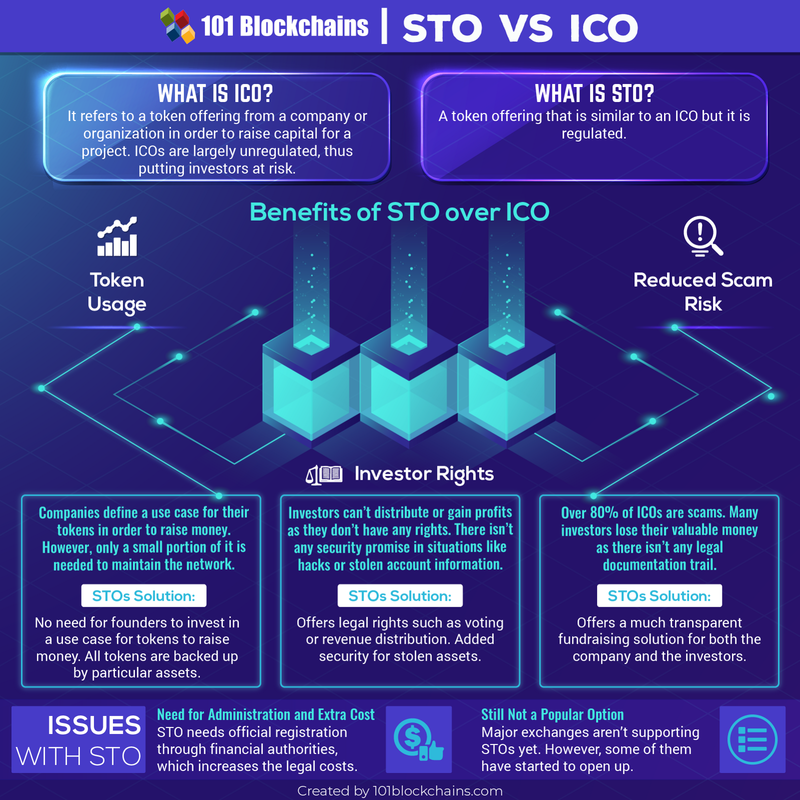 Overall, we can surely see a shift from ICO to STO in 2019. The year 2019 can bring breakthroughs ideas when it comes to the blockchain. Blockchain impact on different verticals has not gone unnoticed, and that’s why we are more favorable towards its growth in 2019. So, what do you think about the blockchains trends that I shared here? Comment below and let us know. I am listening. *Disclaimer: The article should not be taken as, and is not intended to provide any investment advice. Claims made in this article do not constitute investment advice and should not be taken as such. Do your own research!